You can’t always be on vacation — an unfortunate but true fact of life. That’s why there’s the staycation. What exactly is a staycation you ask? It’s creating a vacation-like atmosphere in, outside of, or near your home. The right music, the right drinks, and creating a unique and fun place to hang out always help set the staycation mood. 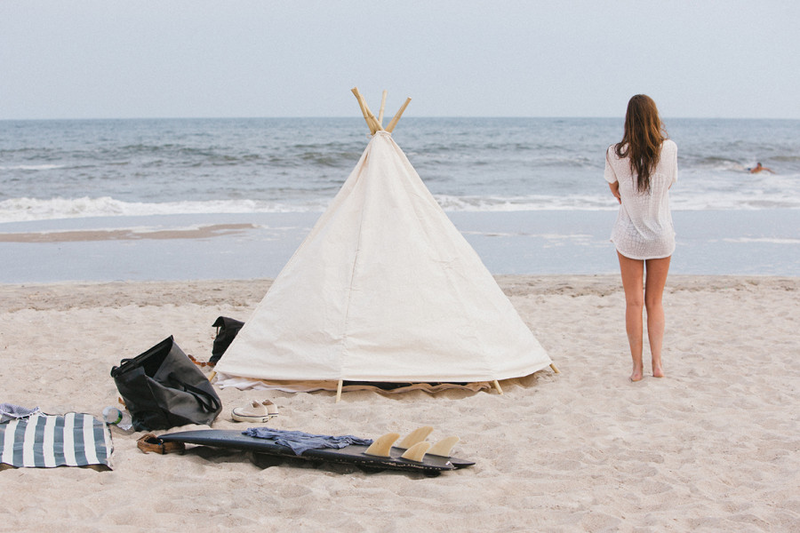 Here to help with the unique place to hang out bit is Indoek and their new Wave Wam TeePee. 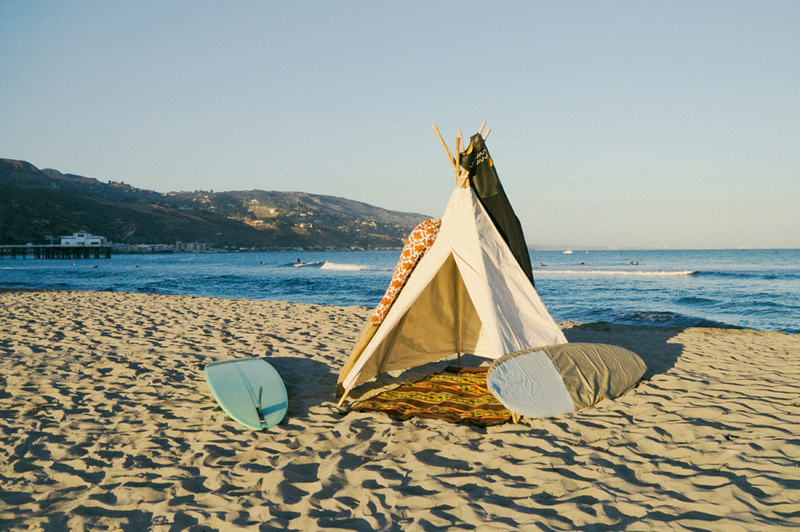 Perfect for setting up an awesome beach base camp (and being the envy of everyone sitting under a lame umbrella), the Wave Wam TeePee stands about 6 feet tall and can comfortably fit 2 to 3 adults. And in case you’re wondering, you can keep the canvas door wide open or tie it shut for privacy (you were wondering). But what if you don’t live near a beach? 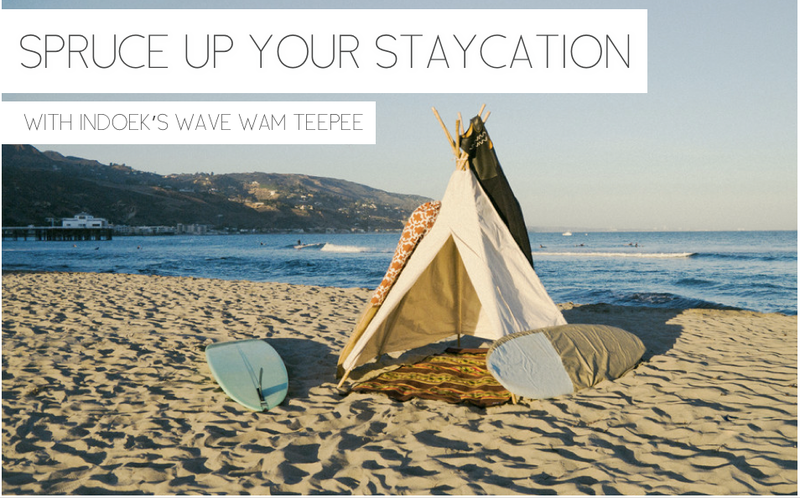 Not a problem, the Wave Wam TeePee makes a perfect addition to your next backyard BBQ party. But what if you don’t have a backyard? It’s all good. Invite your lady over for a quirky and romantic indoor camping trip. Make indoor s’mores and spiked hot chocolate, watch Moonrise Kingdom, and (if you want to take this really seriously) set up this indoor campfire. You’re welcome. 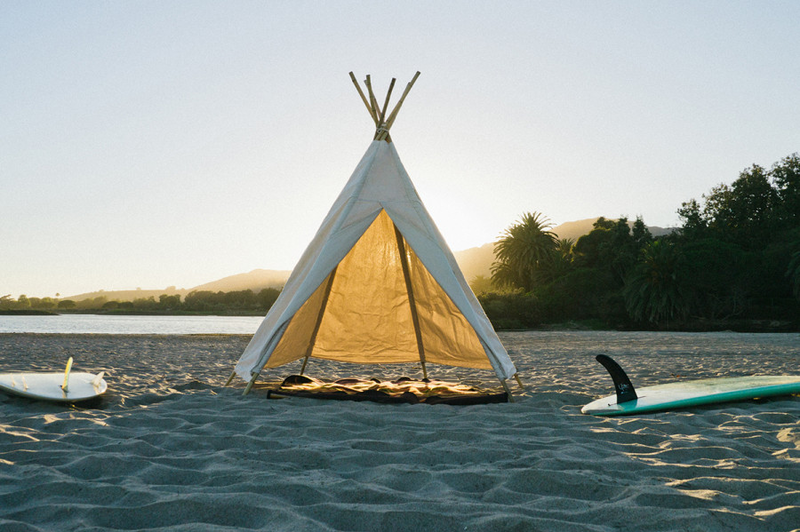 The Wave Wam TeePee comes with everything you need: 10 oz. 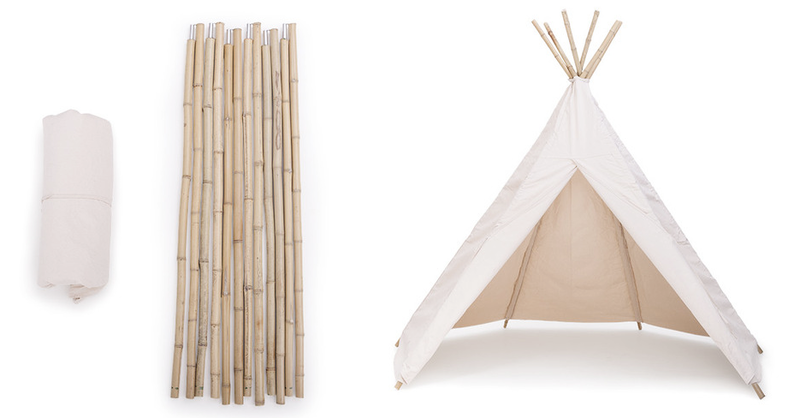 cotton canvas tent with collapsable bamboo and aluminum poles, two bamboo steaks, leather ties held with copper rivets, and a cotton canvas bag with strap for easy transportation. Plus, it’s easy to assemble. Lovely staycation! We need to think creatively to live our lives like we are on an endless vacation!